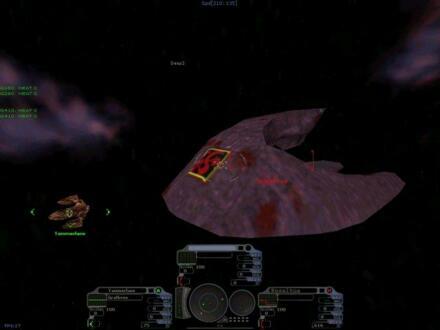 Ace of Angels is a space fighter simulator, that allows you to fight head to head against others across the Internet. At present you may select one of 20 fighters, and design its weapons loadout to your specifications. Our flight model is unique, in that, unlike previous space combat simulators, we have attempted to simulate actual three dimensional space flight. Currently, we have one Battlezone Arena, albeit one that spans the distance from the Earth to the Moon! (apologies to Mr. Hanks and HBO), but will be adding more as the number of players increase. However, the Battlezone Arena will merely be the sideshow of the forthcoming Campaign. More free MMORPG Games or Free Dancing Games.